The St. Louis Cardinals system went 5-1 on Sunday. Our Player of the Day is Memphis outfielder Tyler O’Neill, who launched three home runs and drove in four. Strong pitching performances were logged by Anthony Shew, Alvaro Seijas, Jake Dahlberg and Cole Aker. Recaps of games played on Sunday, July 22. A memorable Sunday at the plate for left fielder Tyler O’Neill powered the Redbirds to a 7-4 victory over the Sky Sox. Our Player of the Day smacked three home runs: solo shots in the first and third innings and a two-run bomb in the seventh. With the three long balls, O’Neill is up to 23 on the season in 56 games for the Redbirds. 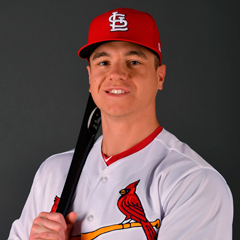 Memphis first baseman Luke Voit and right fielder Adolis Garcia each hit a solo home run. In a bullpen game, the relievers came through. Tyler Webb started with 3 2/3 scoreless innings. Landon Beck allowed three runs in the fourth, and Matt Bowman surrendered an unearned run in his 1 1/3 frames. Tommy Layne earned his first win of the season with a scoreless seventh; Andrew Morales picked up his first hold with a perfect eighth, and Edward Mujica followed suit in the ninth to notch his 12th save. Next game: Kevin Herget (6-7, 3.81) at Salt Lake City Bees, 7:35 PM Central time on Tuesday. With strong pitching on their side, the Cardinals shut out the Travelers in Arkansas on Sunday by a 4-0 score. Starter Anthony Shew tossed six scoreless innings. Shew walked five batters and struck out five, earning his fifth win in 10 decisions. Junior Fernandez pitched scoreless seventh and eighth innings, and Derian Gonzalez turned in a clean ninth. 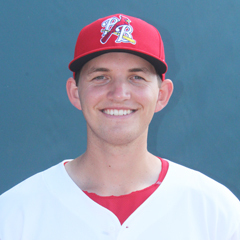 Four Cardinals had two-hit games: right fielder Lane Thomas, center fielder Blake Drake, third baseman Andy Young, and second baseman Luke Dykstra. Designated hitter Chris Chinea hit his 12th home run of the season, a solo shot, and Drake and first baseman John Nogowski each batted in a run as well. Monday’s game: Austin Warner (1-3, 6.58) at Tulsa Drillers, 7:05 PM Central time. The high-A Cardinals were off Sunday and will continue their season on Monday. Casey Meisner (5-2, 3.45) and the Beach Birds will be on the road to take on the Daytona Tortugas at 6:05 PM Central time. Late offense and good pitching throughout lifted Peoria to a 6-2 road win over the Great Lakes Loons as the Chiefs did not let two rain delays bother them. 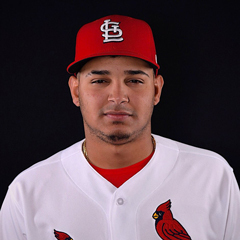 Chiefs designated hitter Luken Baker was 3-for-5 with a run scored and a run batted in, first baseman Yariel Gonzalez scored twice, and catcher Dennis Ortega knocked in a pair. Shortstop Rayder Ascanio hit his second home run of the season, a two-run shot in the eighth. Peoria went just 2-for-14 with runners in scoring position, but their six runs were plenty for a win – thanks to solid performances on the mound. Peoria starter Alvaro Seijas fanned nine batters and allowed just one run across his six-inning outing. Seijas was credited with the win, his third this season. Robbie Gordon threw a scoreless inning, but Bryan Dobzanski allowed a run in the eighth before Kodi Whitley’s scoreless ninth. Monday’s game: Alex Fagalde (5-3, 1.93) at Great Lakes Loons, 11:05 AM Central time. With zeroes on the board through nine innings and a rough top of the 10th, the Spikes came back to defeat the Doubledays by a 3-2 final score. 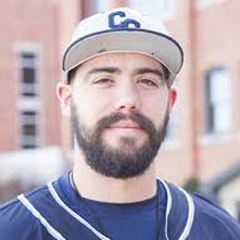 State College starter Jake Dahlberg punched out eight batters in seven scoreless innings. Kevin Hamann followed with perfect eighth and ninth frames before Cory Malcom was tagged for two runs (one earned) in the top of the 10th inning. Malcom was in line for his first loss of the season, but ended up getting his second win, as State College rebounded with a bigger rally of their own. Center fielder Wadye Ynfante batted in a run and another scored on a throwing error on Nick Dunn’s ball in play. With the bases loaded and two outs, left fielder Lars Nootbaar was hit by a pitch to force in the game-winning run. The team stranded 10 runners overall, but the three runs they mustered late proved to be just enough. Courtesy of TCN’s State College reporter Cooper Deck, here is how the contest ended. Next game: Diego Cordero (1-0, 8.18) at Connecticut Tigers, 6:05 PM Central time on Tuesday. The bats were rolling in the Cardinals’ 8-0 win over the Braves in Danville on Sunday. Right fielder Kevin Woodall was 2-for-4 with three runs batted in, including two on his eighth home run of the year. Shortstop Michael Perri had three hits, scoring and batting in a run, and third baseman Luis Flores went 4-for-4 with three doubles. Johnson City combined to go 5-for-14 with runners in scoring position, and seven of the nine players in the starting lineup had at least one hit. 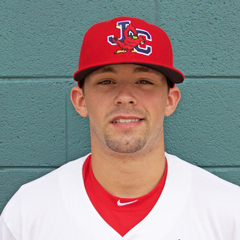 In his Johnson City debut, starter Cole Aker earned the win after spinning 5 1/3 scoreless innings. Aker fanned seven batters and allowed just three base hits. Out of the bullpen, Junior Gonzalez logged three scoreless innings to pick up his second hold and Juan Alvarez notched the final two outs, ending with a strikeout. Monday’s game: TBA at Danville Braves, 6:00 PM Central time. The Cardinals scored three runs in the eighth inning, but the comeback fell short, and the Mets enjoyed a 4-3 win. Gulf Birds starter Edwar Ramirez suffered the loss, his first of the season, after he allowed four runs (just two earned) in his four-inning outing. The bullpen looked great as Jose Geronimo, Alex Gallegos, and Freddy Pacheco combined for four scoreless frames. The bats came up a bit short, however. 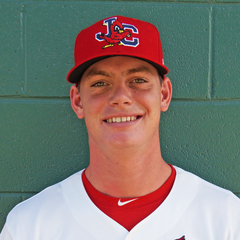 The Cardinals had just six hits in the contest, two from first baseman Andrew Warner. Warner hit his third home run of the season to highlight the team’s three-run eighth. Center fielder Diomedes Del Rio and second baseman Cole Kreuter each batted in a run as well. Next game: TBA vs. GCL Astros, 11:00 AM Central time on Tuesday. Monday’s games: DSL Cardinals Blue vs. Twins, Cardinals Red at Cubs2, 10:30 a.m. Eastern time.